Since the 1970s, the DPOE has been organizing Evanstonians to get Democratic candidates elected. We get out the vote for every race from municipal offices all the way up to the United States Presidency. 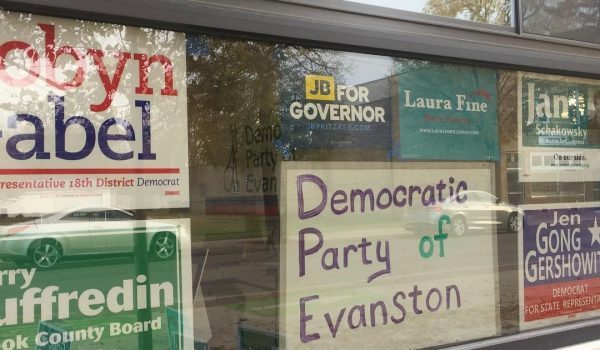 We knock on doors right here in Evanston and all over the Midwest, and we regularly reach out to voters all over the country for races at every level through our daily phonebanks. Through the hard work of our members and volunteers, we get Democrats elected. The Democratic Party of Evanston is accountable to Democrats residing within the attendance areas of School Districts 65 and 202. Our purpose is to amplify the voices of those Democrats; elect progressive Democrats to local, state, and federal offices; and to promote progressive ideals and elected officials. DPOE is made up of dues-paying members and volunteers. The organization is governed by a set of bylaws, an elected committeeman, a board of directors, and our membership. The committeeman and board of directors, being responsible to the membership, oversees the activities and programs of the organization. In response to the 2016 election, the Democratic Party of Evanston launched MAP. The Midwest Alliance of Progressives is a coordinated partnership with other local Democratic parties in the region designed to identify, elect, and re-elect local, state, and national progressives in the Midwest. Issues Committee: Al Hofeld, Jr.